To a new study presented by a US non-governmental organization, the European cap and trade system – called Emission Trading System or ETS – seems to finally work after a much difficult start. To TreeHugger: The trading system has created a healthy carbon market now worth 56 billion US dollars, and (…) has been responsible for Europe reducing its carbon emissions by 2.5-5% annually. These figures should and probably will help in the implementation of a similar system in the USA as they are currently discussing about it. I hope they will also spur similar programs worldwide. 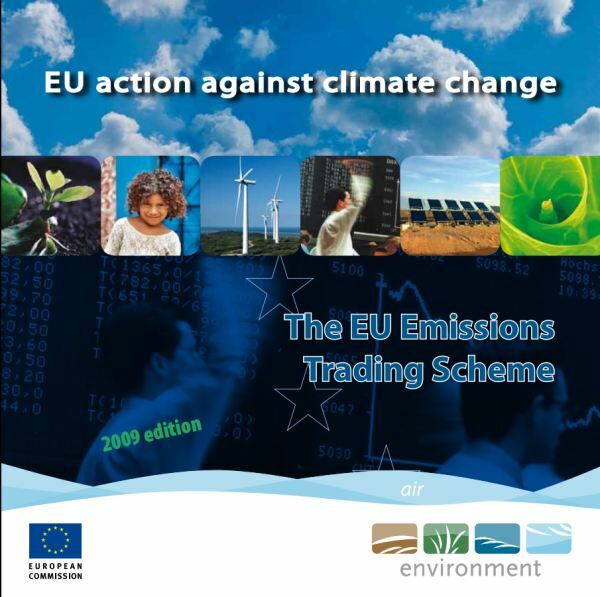 According to Climate Progress, the report, Climate Policy and Industrial Competitiveness (pdf), completed by the economists, climate scientists, and academics of the German Marshall Fund, reveals that Europe’s cap and trade has lead many countries in the EU to meet their carbon targets as agreed to in the Kyoto Protocol. The trading system has created a healthy carbon market now worth 56 billion US dollars, and has reduced Europe’s emissions by 50-100 million metric tons a year since 2005. In other words, the cap and trade has been responsible for Europe reducing its carbon emissions by 2.5-5% annually. Which is indeed a pretty impressive achievement. And the success has been largely due to the fact that the system’s design separated its implementation process into 3 phases, so there would be pause for analysis and adjustment. This allowed policymakers to consistently reevaluate the system, and they were able to stop problems, like the aforementioned practice of sticking consumers with the cost of carbon. So, let’s see. Hugely significant amounts of carbon emissions cut, and Kyoto targets within reach? Check. A robust, investment-attracting carbon market? Check. Flexibility and room for further improvement? Check. Sounds like a success to me. This is all encouraging news, to say the least: with the knowledge that the world’s major pioneering cap and trade is working effectively, US policymakers should now be able to take lessons learned from the turbulent inception of the ETS into account as they continue the long slog towards passing a bill that would create such a system stateside. My point of view : This is truly fantastic. If the European Union can keep on decreasing its emissions by 3.5 percent annually – in the middle of the range between 2.5 and 5 percent – by 2020 it would have cut its emissions by 40 percent. As we have seen previously, this is exactly the amount we need. For more information on this report, please check out the official link or another article on TreeHugger : 10 Lessons the US Can Learn From Europe’s Cap and Trade. Meanwhile, the French prime Minister, M. François Fillion announced that the carbon tax could be implemented in France in 2010. Which system is the best and would bring the largest carbon cuts ? We will see an interesting point of view next week. So for this and for much more stay tuned !